Yes! This is my favorite restaurant in Amsterdam. Back in spring 2013, we stumbled upon it almost by accident. We were staying in Westerpark. Naturally, having a good place to eat without walking too far from home would be nice. Uninspired by a couple of lousy suggestions from Yelp and Google, we walked by Café-Restaurant Amsterdam for the first time not realizing that it was the place we were looking for. Indeed, it’s exterior does not resemble a traditional restaurant setting. It looks more like a 19th-century industrial building and for a good reason. The building that houses the Amsterdam now originally was the water pumping plant. 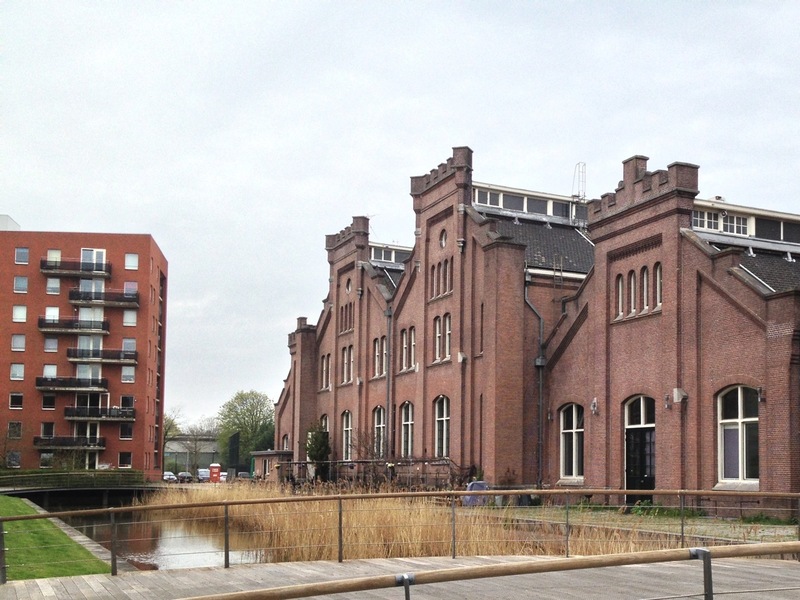 It was built in 1897 and called the Pumping Station Haarlemmerweg. Amazingly, it was fully functioning up until 1996. By the end of 80s, restoring and repurposing old factories and plants became fashionable. 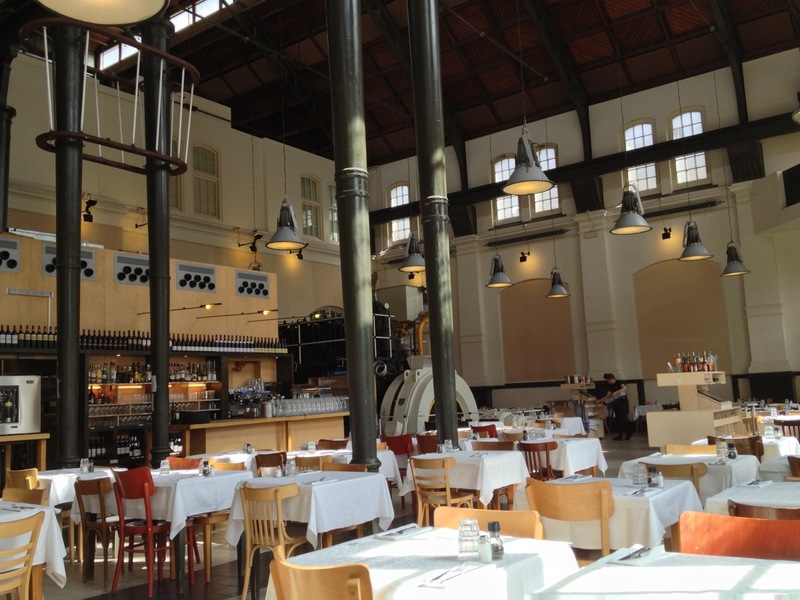 Hence, the engine room of the retired water plant began a new life as a restaurant. One of the two imposing diesel engines still stands at exactly the same place where it was put from the beginning sans pumping water, of course. It is an impressive example of engineering genius, by far, not a usual antiquarian piece furniture or other knickknack so often found in restaurants. The engine is an instant hit with younger patrons of the Amsterdam: even the best food in the world can not compete with the opportunity of exploring this metal monster. Enough history. 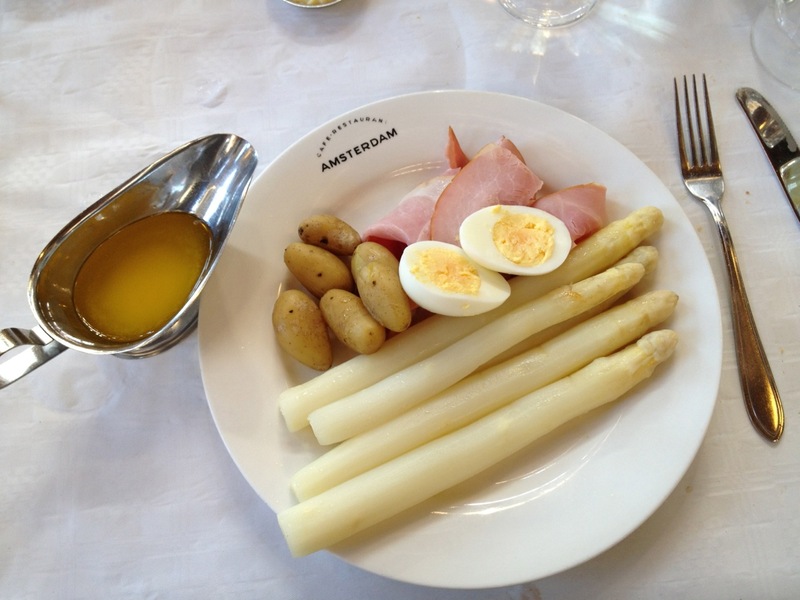 Let’s talk about food, and it’s quite simple: the Amsterdam’s food is amazing. My personal favorite: the seafood! 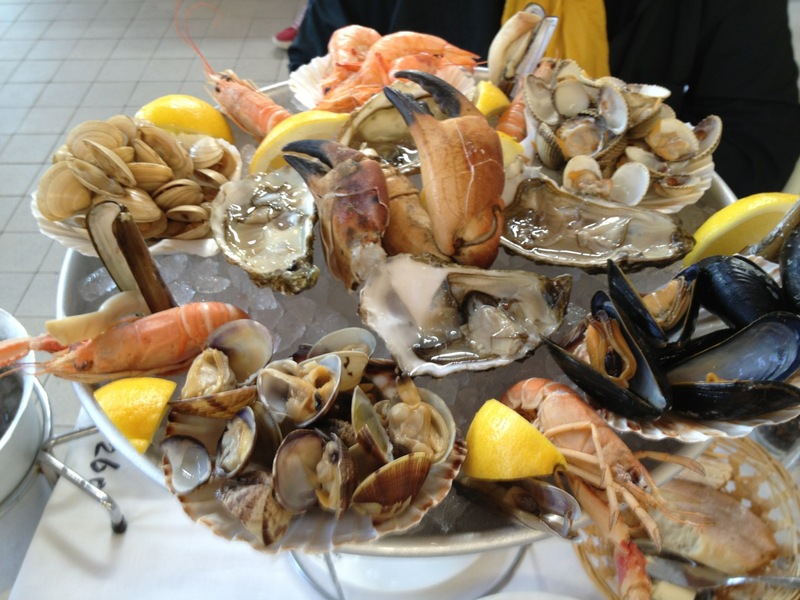 Freshest oysters, juicy shrimps, mouthwatering lobsters, mussels… Oh, and not forgetting the fish: perfect sea bass, tender salmon, steamed mackerel. I miss this place! Marine treasures are not for your favorites? No problem. 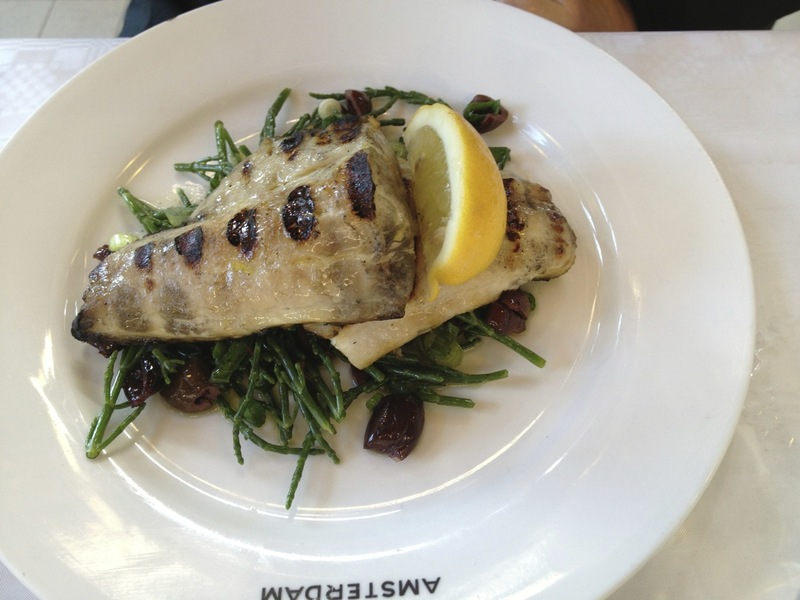 Try lamb chops instead, or venison steak with mushroom sauce or any dish from the menu. You won’t be disappointed. Literally, everything we tried was delicious: from appetizers (home made game pâté or parmaham with lentil salad, anyone?) to desserts (crème brûlée that I like to try everywhere I went or my childhood favorite meringue). Of course, good food needs a wine pairing. The Amsterdam does not disappoint in this regard either. The wine selection is not too extensive, but long enough to satisfy different tastes. Good food and drinks, reasonable prices, what else do you need to be a popular place? Café-Restaurant Amsterdam is no exception. However, there is a downside to it: on Friday night or on Sunday (during brunch and dinner times) it becomes crowded. The average waiting time could be up to 30-40min. Generally, reservations are possible except in a case of special events. The staff speaks various degrees of English, so calling them is not a problem: if a person on the phone would have difficulties communicating s/he would find someone to help.